What with all the security breaches going on I've been changing passwords. The problem is that I have an old email account that was taken over by AT&T a few years ago but is now run by Yahoo. I've had a heck of a time changing the password plus my iPad won't accept the new one. Is there a way out of this misery?le"
I've been in a similar situation and quite honestly the AT&T/Yahoo relationship in regard to account settings is a nightmare. You go to Yahoo to do something as simple as change your password and you're passed along to the AT&T site because it controls these kinds of settings. A one-stop shop it is not. Let's start by trying to cut through AT&T's clutter. Forget navigating its site. Instead, when you want to change your password go directly to the Yahoo Password Helper page. Select "I have a problem with my password" and click Next. Enter your Yahoo ID (your email address) in the resulting page and click Next again. You'll be taken to AT&T's site where you're plunked down on its reset password page. Enter your User ID (your email address) and last name and click Continue. You'll then be prompted for the answers to two security questions. (If you've never created such questions you'll be walked through the process of creating them.) Click Continue yet again. Finally, you can create and confirm a new password. In a perfect world (and by that I mean one where you could do all this from your Yahoo email settings page instead of being run through AT&T's gauntlet) your password would be changed across the board. But you've discovered the fly in that particular brand of ointment. While this may work for the email client on your computer, it could fail on your iOS device. It fails this way: On your iPad you dutifully go to Settings > Mail, Contacts, Calendars; tap on the entry for your Yahoo/AT&T account; tap the Account entry in the resulting screen; and then enter your new password in the appropriate field. 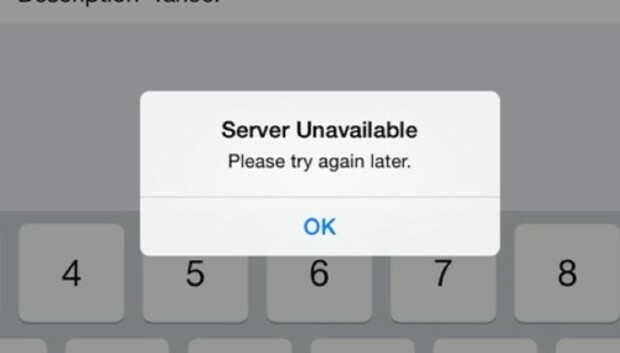 Tap Done and after a fair bit of gear spinning you see a "Server Unavailable" error. (Hair-tearing is optional at this point.) While you may be tempted to try again I don't hold out much hope that you'll be successful. Let me offer this alternative. After acknowledging the error tap Cancel at the top of the screen to return to the account screen and tap Delete Account. Confirm that you really want to do this by tapping Delete. On your return to the Mail, Contacts, Calendars screen tap Add Account. But this time, instead of tapping on Yahoo, tap Other at the bottom of the list. When a service preset won't do, turn to "Other." In the screen that appears tap on Add Mail Account. In the New Account sheet that appears enter your name, the email address for this old account, and the new password. Tap Next and because iOS is aware of these old addresses your account should verify rather than be rejected with an error. Tap Save and your account's set up. Reluctant though I may be to lend AT&T a shred of sympathy for this mess I will say that transitioning a bunch of old domains such as sbcglobal.net, prodigy.net, and any of a number of bell.nets to a single domain was probably challenging and perhaps this is really the best it can do. But, honestly, if this is the best it can do you're better off abandoning the old address and using something more up-to-date--a Gmail, Yahoo, or iCloud address, for example. Yes, it's tedious to shift over to a new address. You can make it a bit less so by replying to incoming messages with the new address as well as sending any new messages from that account. If you like, add some boilerplate text to the bottom of your message indicating that you're using a new address. After awhile you'll find that the majority of people you correspond with will use your new address, at which point--after ensuring that merchant accounts you maintain also use that address--you can drop the old one for good and all.